type40 - Doctor Who news and views: FIRST POSTER FOR DAY OF THE DOCTOR! FIRST POSTER FOR DAY OF THE DOCTOR! Now that we find ourselves closer to the 50th anniversary spectacular coming later this year, it comes as no surprise that any news Who-related is met with more excitement than ever. If you ever thought that the BBC were being too secretive in their talk of the programme, fear not, for they have answered. Find below the first of many posters to be released to celebrate the Doctor Who spectacular.. Certainly has the 'block-buster movie' feel about it. 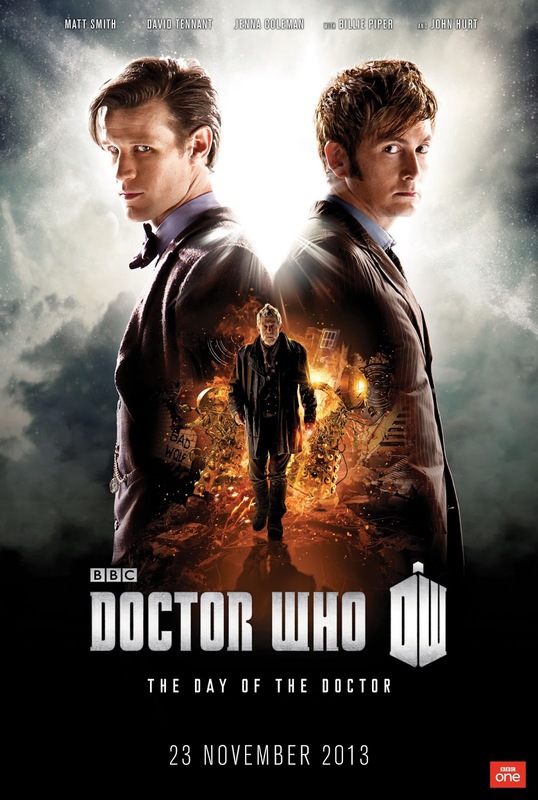 Most notable element to this poster, is the announcement of the episode's title, 'Day of the Doctor'. 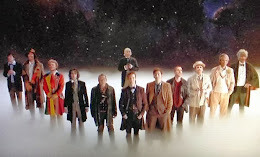 However, attention should also be brought to the portion taken up by John Hurt's character - surrounded by an explosions of Daleks and repeated prints of the words 'Bad Wolf' - certainly makes you wonder what kind of connection the episode will have with the show's previous storylines. Now that we've caught the first visual tease of the episode, it's seems a safe thing to say that Matt Smith is certainly going to have a memorable exit episode. But more importantly, what do you think? Sound off in the comments below!